Established in 2001, Premier Promotional Products is a multi-award winning UK distributor of corporate branded merchandise. We specialise in event giveaways, bespoke made-to-order promotional gifts and other business marketing goods such as stationery and clothing. If it can be branded we can supply it! So take a look at our online search facility, we have a huge portfolio of over 130,000 customisable products on our website. If you are looking for something completely bespoke, simply ask us and we will source it for you free of charge with no obligation to buy! Click to see more about the services we offer, and how we can help your brand grow. At Premier Promotional Products, our commitment is to give your brand the attention it deserves whilst saving you both time and money. We are accredited to the largest promotional product trade association in the industry. The British Promotional Merchandise Association (BPMA) maintains a strict code of conduct ensuring all members are exemplars of best practice and centres of excellence to customers within the promotional merchandise industry. Please click to view the BPMA Code of Conduct. Our exclusive membership with The Sourcing City Purple Club enables us to offer preferential prices for all promotional products on our website. 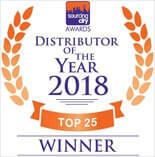 Highlighting the quality of our service, Premier Promotional Products has proudly placed in the Top 25 Distributor of the Year Awards, selected from over 300 promotional merchandise distributors in the UK. Premier Promotional Products maintains a full ISO 9001:2015 quality accredited certification, adhering to higher industry standards and strict policies. ISO standards are recognised worldwide and are drafted by respected international panels. 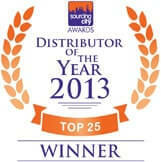 This certification demonstrates our excellent attention to quality in the products we provide. Our registration to the ISO 9001:2015 also supports us in streamlining all processes within the company, enhancing the efficiency of working procedures and ensuring consistency within our service delivery. 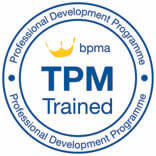 From the first point of contact you are assigned a dedicated Account Manager, who are TPM qualified (Trained in Promotional Merchandise), with excellent industry knowledge and best practice. The team at Premier Promotional Products receive continuous training for professional and personal development, maintaining high quality standards in all aspects of service. We provide our clients with a comprehensive level of support from initial enquiry stage right through to aftercare service once the goods or promotions are delivered. Click to view our core principles and values.